Chips and cracks in your windshield can leave you worried about expensive, time-consuming repairs -- or possibly a complete windshield replacement! Relax: SuperGlass offers car owners in the Centennial area windshield chip and crack repair services that are much faster and less expensive than a full windshield replacement. The SuperGlass chip repair process begins when one of our trained technicians vacuums out any dust or debris from the crack. Then the crack or chip is injected with our advanced SuperGlass resin for a repair that restores your windshield to full strength! And it’s all done at your convenience and at your Centennial location. Our SuperGlass technicians are professional, courteous, and well-trained in our superior mobile windshield chip and crack repair methods. They wear SuperGlass uniforms while on the job and work quickly, accurately and with total customer satisfaction in mind. Whether you need mobile windshield repair services for the family car or for a fleet of commercial vehicles, we can handle it all. 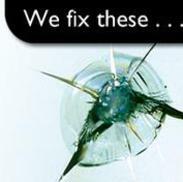 Call us today for Centennial windshield rock chip repair that keeps your car safer to drive and helps preserve its value!